The Chauvet CLP-10 is a 360-degree wrap around O-clamp designed for hanging & mounting various lights and DJ gear onto 1", 1.5" & 2.5" truss or tripods. Chauvet encourages customers to make safety a priority by utilizing the right clamps and cables for their lighting applications. 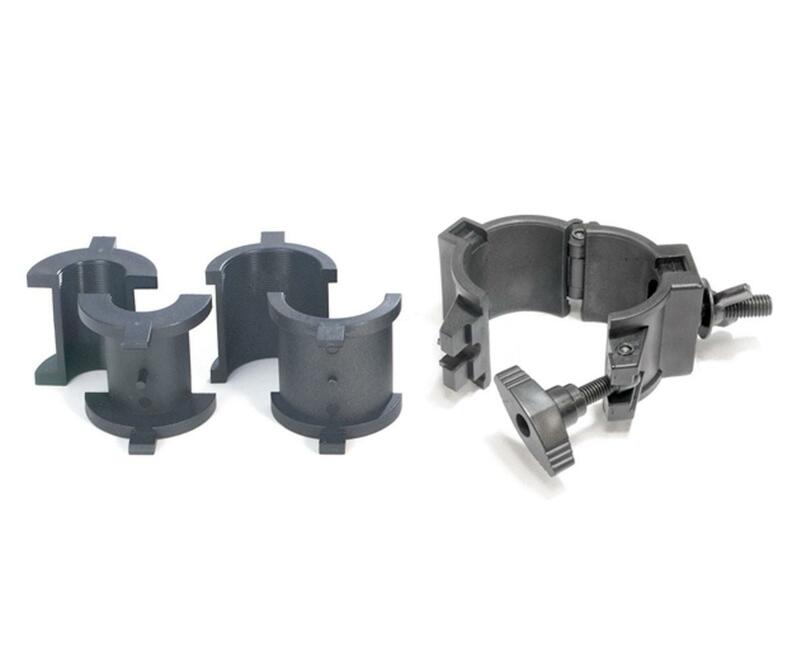 Made of cast iron or cast aluminum, Chauvet clamps offer a wide range of options in load capacities, mounting and styles.